We booked it out of La Paz anxious to explore more of Bolivia’s wild land. 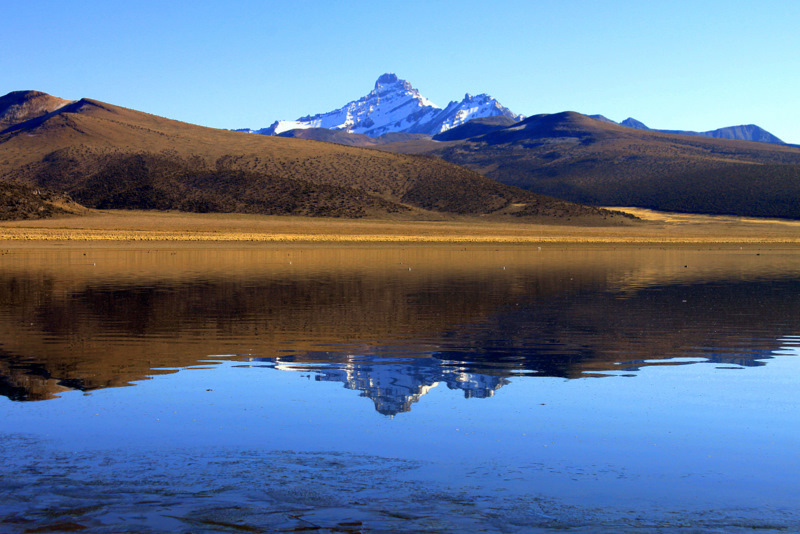 We had heard Bolivia referred to as the Tibet of the Americas due to it’s isolation, altitude, and rugged terrain. We had a taste of it in Sorata, but we craved more. Our decision to fork over $270 in visa fees was not for the hip modernity of La Paz but the wild frontier. In that spirit we referred to our paper map and marked Sajama along the Chilean border as our next destination. With it’s plains sitting above 14,000 feet (4350m) the park houses the world’s highest “forest,” and Bolivia’s highest peak, Volcán Sajama (6542m). The forest may be underwhelming as the dwarf queñua trees more resemble bushes, but the landscape consumes the senses. 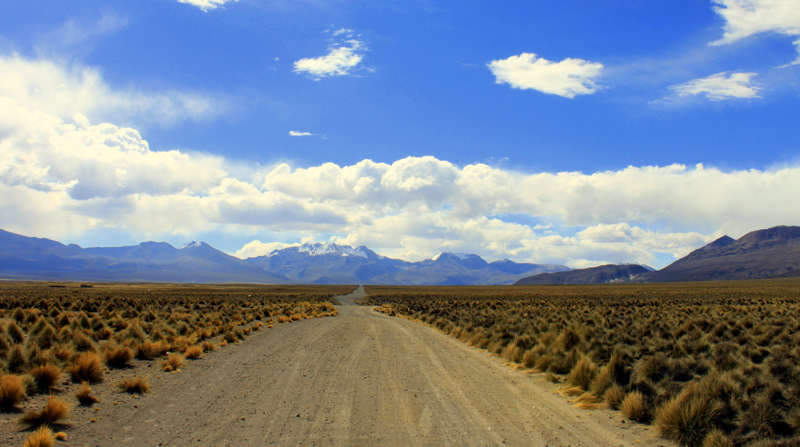 Sajama was Bolivia’s first National Park. Calling it a National Park is an insult to anybody familiar with the US National Park Service. To camp in Yosemite on any given weekend requires a well executed reservation. If you want to climb Mount Whitney, you’ll find yourself entering a lottery. Rafting the Grand Canyon? Prepare to cough up Oprah dough or get your name on the waiting list and sit tight, for 20 years. 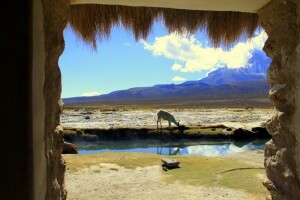 In Sajama, $4.00 gets you unbridled access. Drive, camp, hike wherever you damn well please. This is Bolivia, wild and free. Our first night we camped alongside 95 degree hot springs and among the mountain majesty. 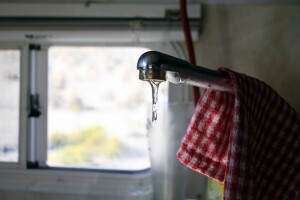 For two days we proceeded to empty the contents of our food-poisoned stomachs outside the camper. We wish we could swear off those golden crisp salteñas, but we know we’ll be back. 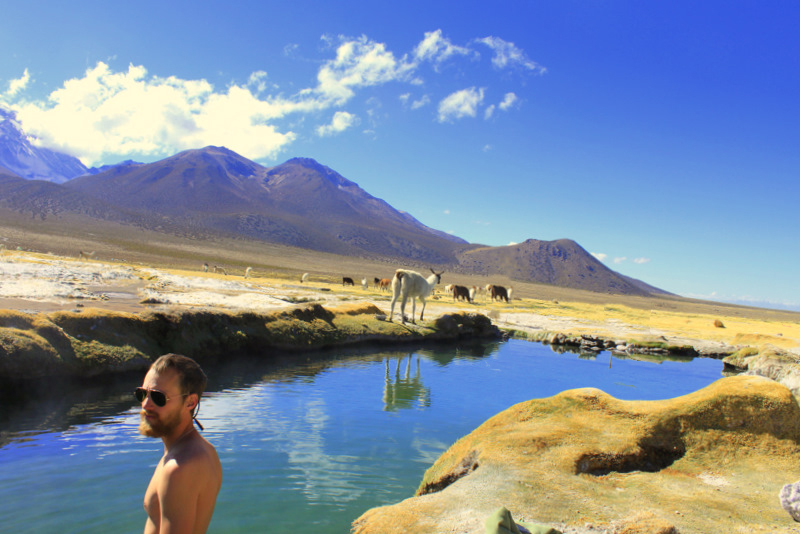 A recovery dip in the hot springs certainly had us believing in their much rumored curative powers. 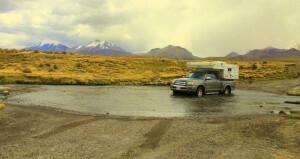 We spent two more days circling the park taking in the harsh landscape. Sparse barbed-wire fences crisscross the park but unraveling them took only minutes allowing us to move on to every trail we felt like exploring. In contrast, at 4350m the wind runs icy cold, the afternoon sun blazes, and a hard freeze takes over each and every night. 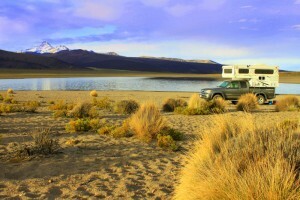 Our only company were the herds of alpaca, not sure what to make of a camper meandering along their desolate prairie. Returning to the wilderness we shed our illusions of grandeur and invincibility. We come closer to something more genuine, a more primal self. (1) We must issue an apology to the one decent park ranger we have met in our many years exploring the US parks. He was stationed at Olympia National Park in Washington state and was a true patriot, a throwback from the golden era of the US Park System (circa 1960). Big thanks to our nameless friend in Washington. This entry was posted in Bolivia by Brianna & Logan. Bookmark the permalink.